Italy is well known as a land full of passion, romance and love. The setting of countless love stories, both real and fictional, it’s hard to deny the romance of the intimate cobblestone streets, Venetian gondola rides or simply the breathtaking views. 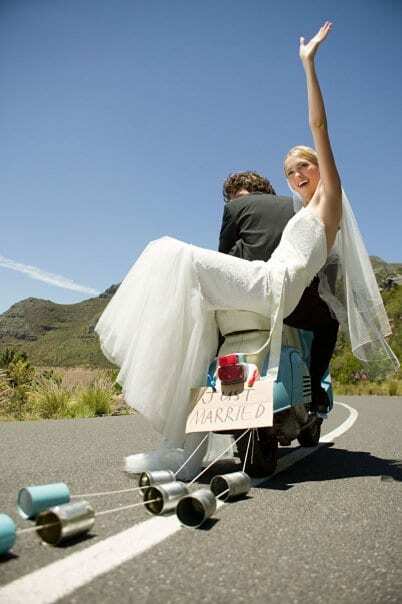 Italy is the perfect location for a romantic honeymoon, but it’s just as appropriate for a wedding! Get the run-down of how to legally get married in Italy to make your day memorable, not complicated. 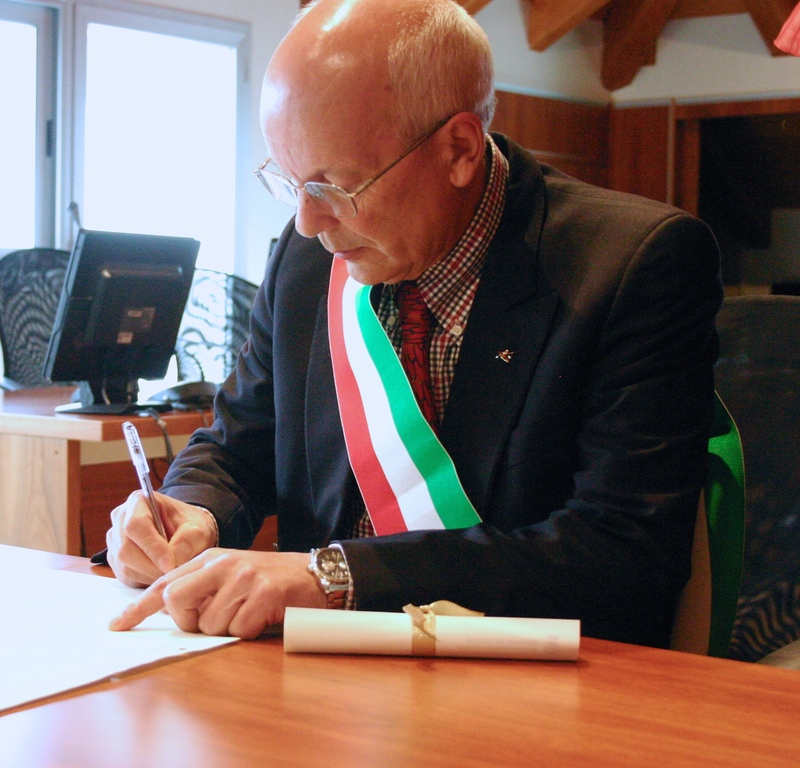 Like most everything in Italy, getting married requires some documents. Though it may vary slightly depending on the nationality, in general the couple will need: a valid U.S. passport, a birth certificate and evidence of the termination of previous marriages if necessary. Each of these documents must be translated in Italian to be considered legal in Italy. You’ll need all of the above to then get an Apostille stamp which is given by the Secretary of State of the state you are from. Click here to learn more on where to get an Apostille stamp in the United States. After that, you need an Atto Notorio from an Italian Consulate in your home country. Though it can be done in Italy, it’s likely that the language and time barriers will make it much more difficult. This document declares that there are no obstacles to the marriage and that you are each eligible to be married. The best option is to hire a wedding planner to handle all the ceremony details abroad, as this usually also includes the bureaucracy! There are many who will work with you to coordinate the details for your special day, including setting up your ceremony. Getting married in Italy might be a dream come true for some brides, but planning the ceremony in another country presents a whole array of different problems. For one, you might not be able to have a Catholic wedding, even in this very Catholic country. While it is possible, the number of priests who will perform the marriage is slim, and the couple will have to complete a full course of pre-Cana training, or marriage classes, before getting married. In any case, it’s likely you’ll have to have a civil ceremony before a religious ceremony can be held. 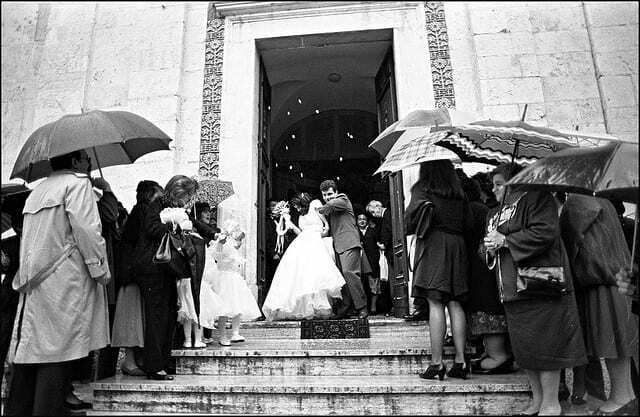 Though the song says, “Goin’ to the chapel…,” by law, a civil wedding ceremony in Italy can only be held in a town hall. In a few cases, certain villas have been given special permission to host civil ceremonies as well. Presided over by the mayor of the town, this isn’t your typical Justice of the Peace ceremony, but a well-written ceremony given much more significance and importance. 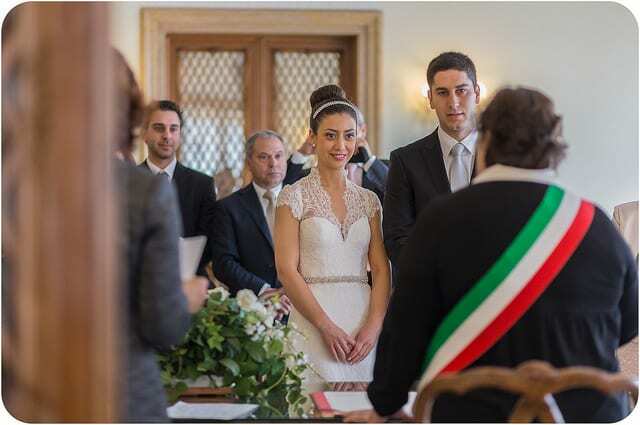 Couples will need two witnesses and can personalize their civil ceremony with music, readings, an exchanging of vows and an exchanging of rings – essentially all of the wedding in one of Italy’s historic, and likely lovely, courthouses! Be sure to arrive in Italy early to avoid any delays or bureaucratic problems. Once there you’ll need to get a Nulla Osta from the United States Consulate in Italy. The Nulla Osta or dichiarazione giurata, is a document that also swears that there are no legal obstacles to the marriage under Italian or U.S. law (or the country where you’re from.) For Americans, the Nulla Osta costs 50 USD, but you can search on the individual embassy websites to find the cost for your nationality. It must be paid in cash, so go prepared. You can find U.S. consulates or consulate agents in Milan, Genoa, Venice, Florence, Rome, Naples and Palermo. Once you get the Nulla Osta, it needs to be legalized at the Prefecture’s Office or the Ufficio della Prefettura. First, stop in a tobacco shop, tabacchi, and buy a €16 euro marco da bollo, or revenue stamp. There is one prefettura in every capital. Normal operating hours are Monday through Saturday from 10 a.m. to 1 p.m. Though it might seem overwhelming, it’s more about running around town than it is about filling out documents. Give yourself extra days so you can go calmly and not stress before the big day! 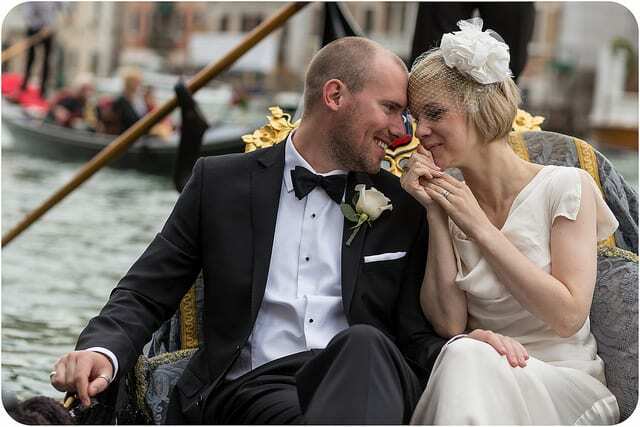 With the passion and backdrop, getting married in Italy is a great option for many couples and is sure to make the day extra special!